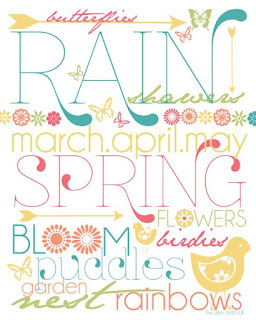 Please come over to City Crafter, see what the rest of the fabulous DT have made and enter your own blooming project. Happy Mother's Day to mums in the UK, Ireland, Nigeria and Channel Islands. 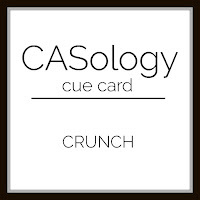 (Yes, I did look that up!) 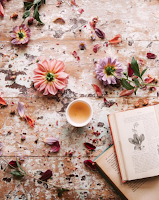 I am lucky enough to have two children, a 10-year-old boy and a 33-year-old girl , and it is my daughter who loves to set me the real-life stamping challenges. (I think she should set up her own challenge blog, although she doesn't craft herself!). 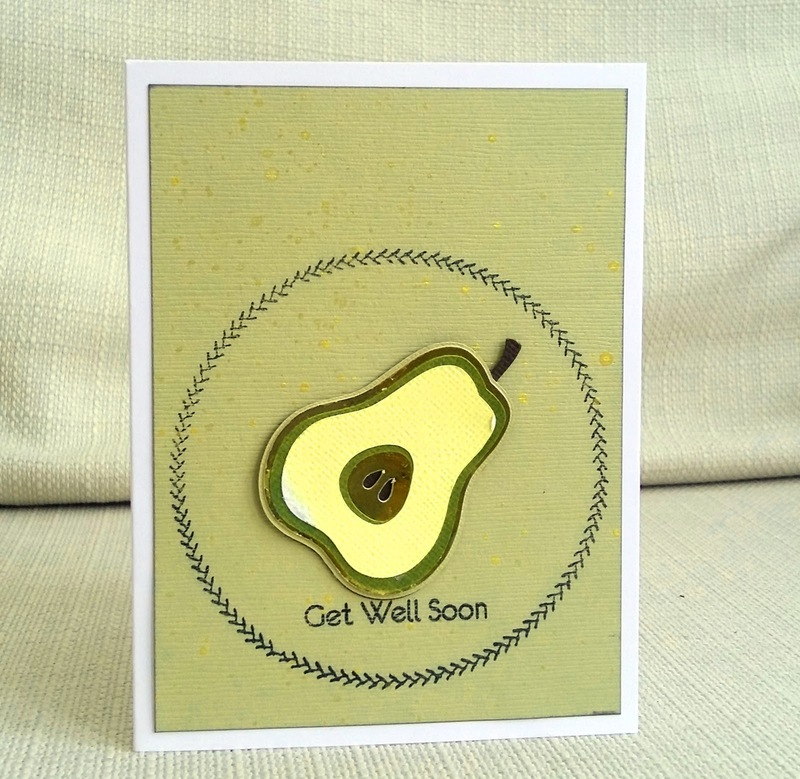 Anyway, my daughter requested a card for a colleague who has had a serious health diagnosis. My daughter had seen a card I made with the umbrella girl stamp (Woodware, I think) , but wanted a bigger card so all her workmates could sign. 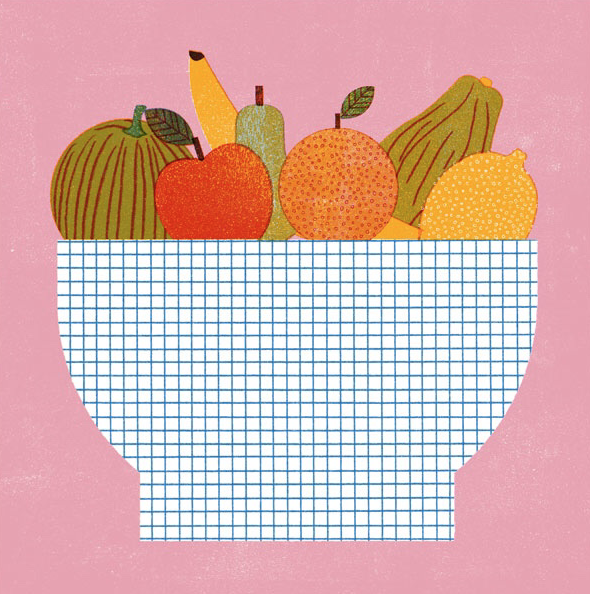 I coloured the image and paper pieced it using papers from a magazine, years ago. 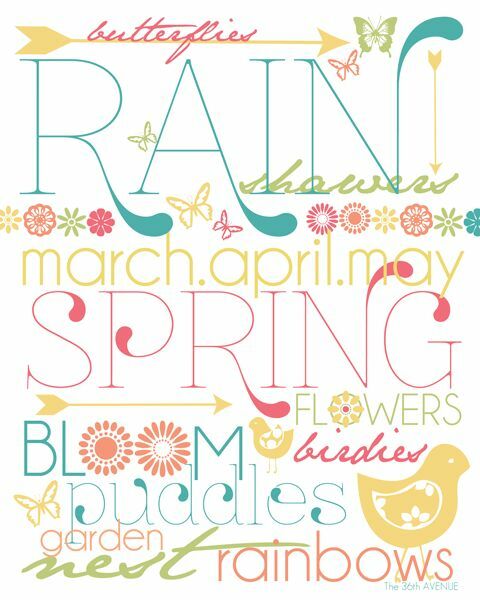 The sentiment is Avery Elle and I added Glossy Accents to the raindrops and puddle. For my DT card I adapted elements from two 'photo prop' sets of cutting files - one by Pretty Paper, Pretty Ribbons and the other by Miss Kate Cuttables, and cut them on the Silhouette. 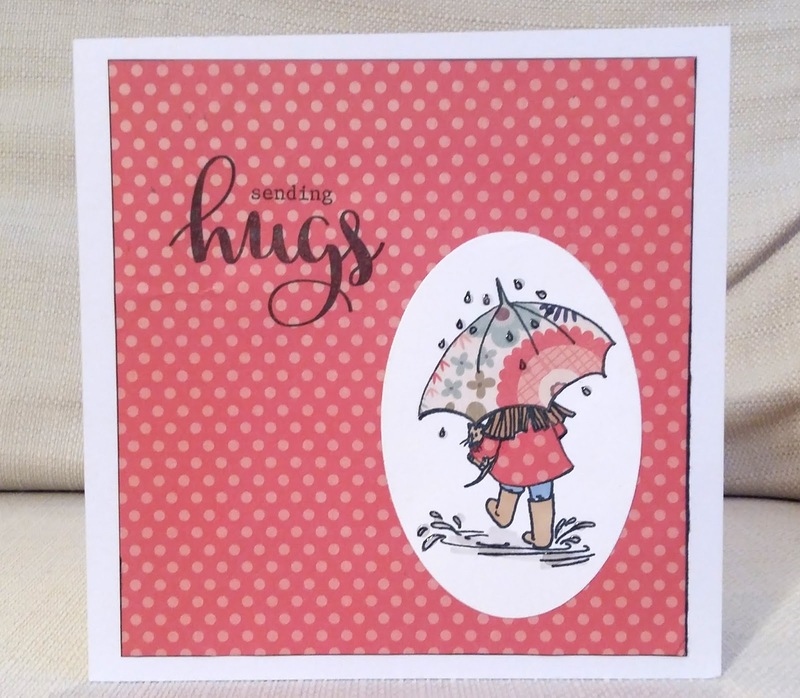 The sentiment is by Docrafts and I embossed the base with an embossing folder. We are joined by a wonderful Guest Designer Birgit and I hope you'll come over to the challenge blog and see what she and the rest of the DT have made and enter your own project. 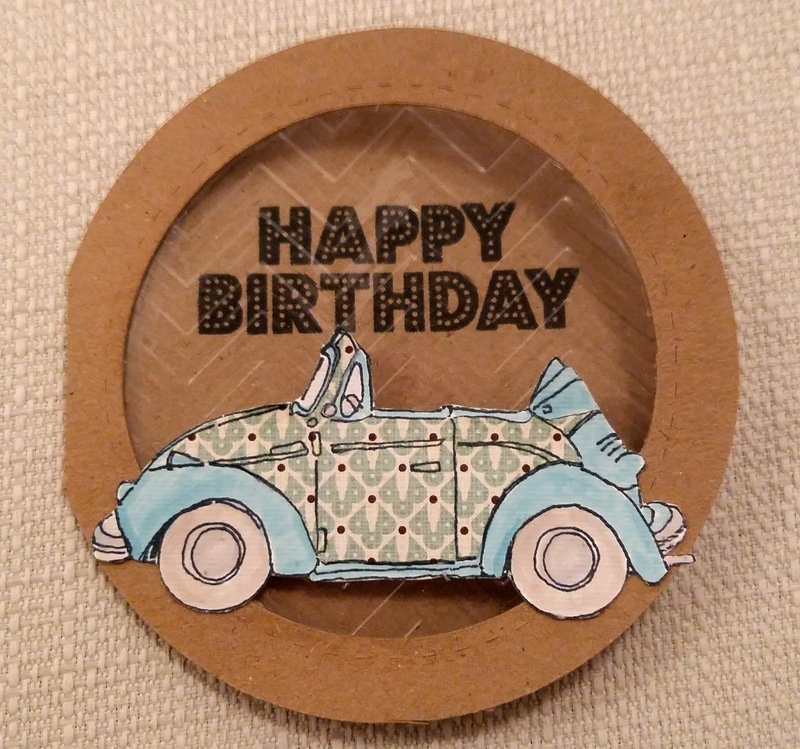 I got a text off my daughter this evening - she wanted a card with a car on it for her friend's dad who's a driving instructor, and she wants it by tomorrow! 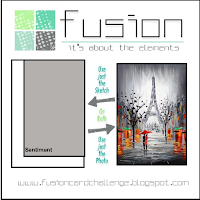 To give me some ideas I browsed some current challenges and this is what I came up with . 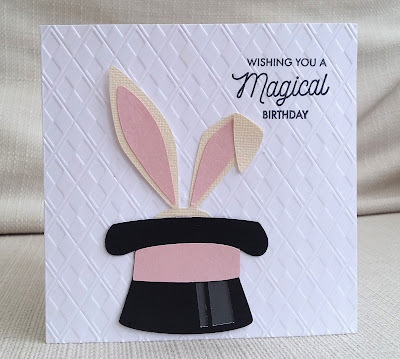 I created the circle base card on the Silhouette , cut out a circle of acetate and embossed it with a chevron embossing folder. The car stamp is by Printworks and I coloured it with markers, paper-pieced it and cut it out. The sentiment is by Hero Arts. 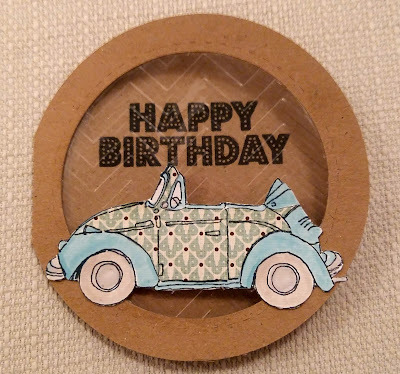 Retro Rubber car stamp is probably 5 years old? This week I have chosen the challenge at City Crafter: to use a window or aperture on your project. For my DT project I used a stamp from Paper Smooches for my outside scene, which I coloured with markers and Distress Inks. 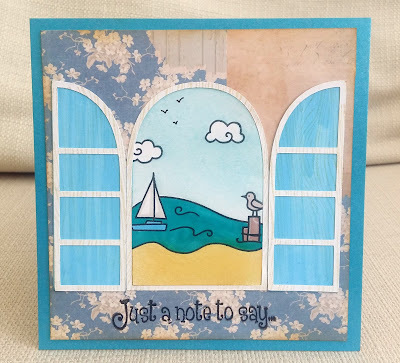 The window and shutters were a Silhouette cutting file and I was pleased to find the paper in my scraps - it already had a peeled wallpaper effect. 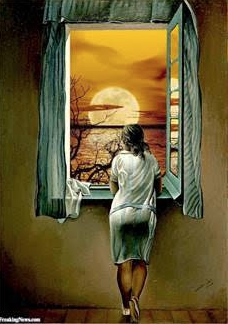 I look forward to seeing your window project. Please come over to City Crafter and see what the rest of the fabulous DT have made. Happy Birthday to my wonderful Inkspirational team-mate, Kim. 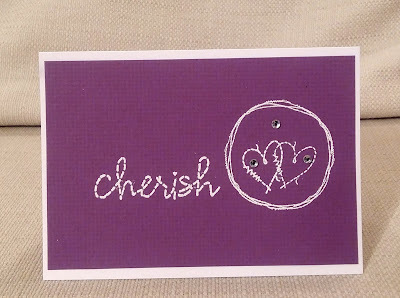 Here is the card I sent to her and I hope she's received in time. 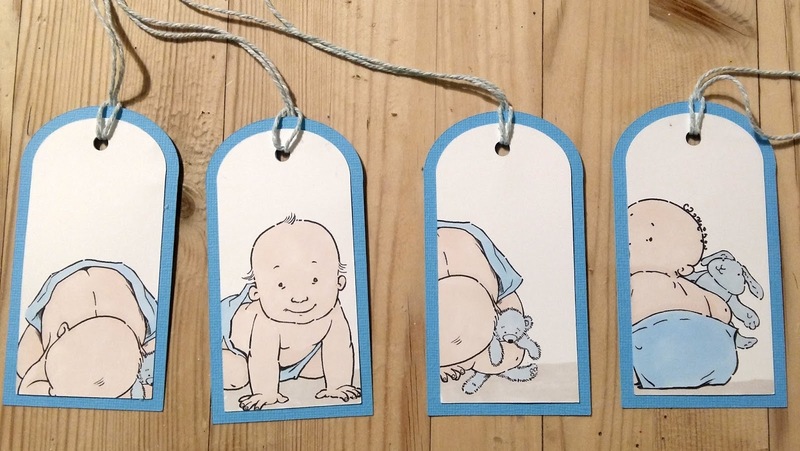 As well as producing beautiful cards for our challenge blog, Kim also organises the Secret Santa we do every year. 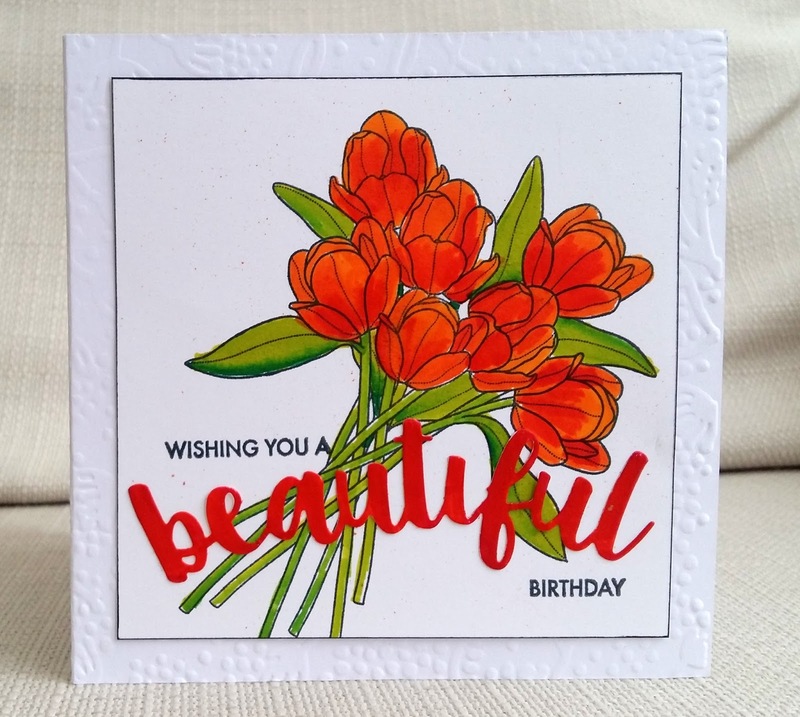 To celebrate that I've used a tulip stamped image and word die cut that I received in a package from my Secret Santa. I coloured them with Zig CleanColour markers. 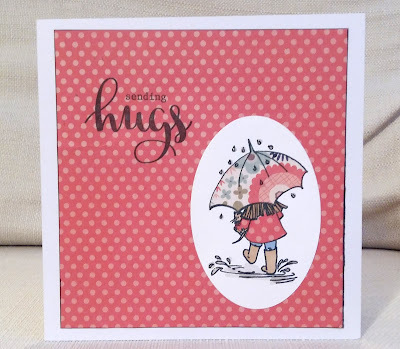 The other sentiment stamps are by Avery Elle. Here's another tag I created at my daughter's request - she wants it to attach to a gift for a mum-to-be. 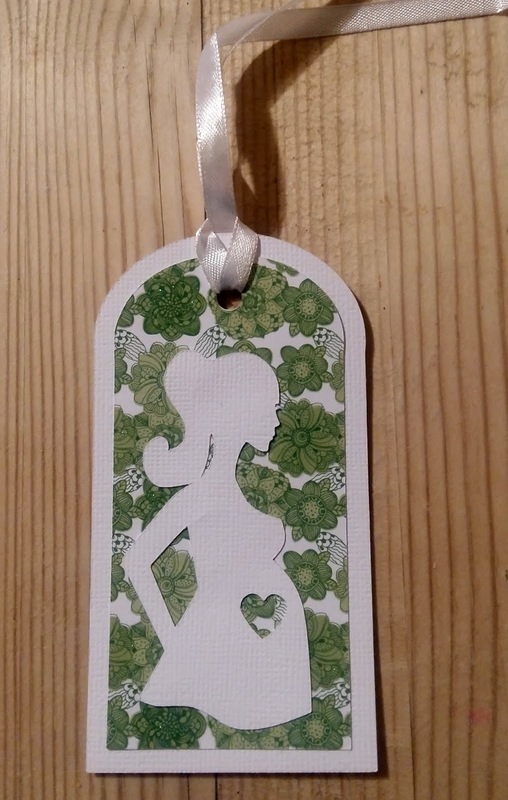 The pregnant woman silhouette is a electronic cutting file from Silhouette studio and I previously created the tag cutting file myself. 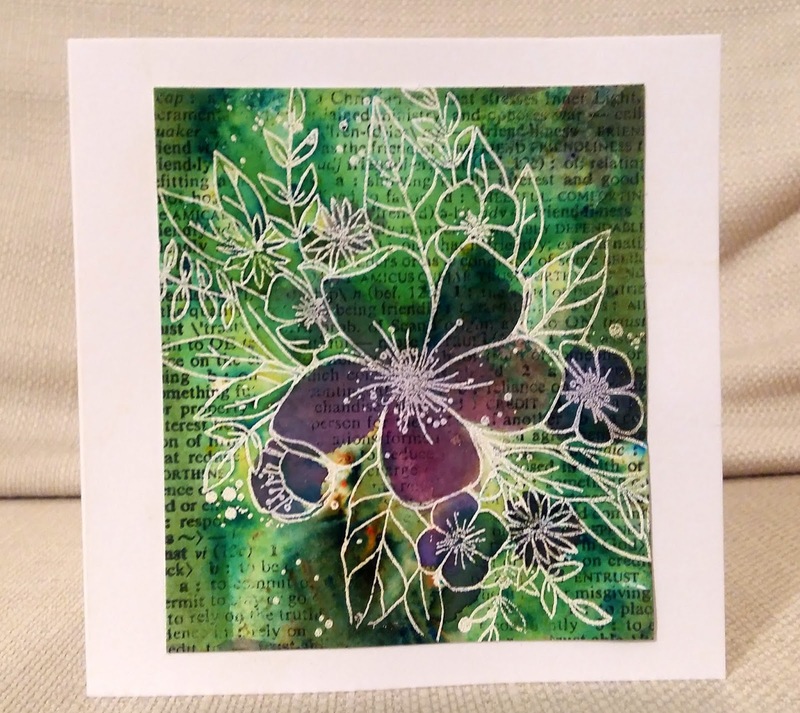 I think the green patterned paper, which is sparkly, adds to the slightly retro look. For my DT card I went with the spring theme and was reminded of the song 'Tulips from Amsterdam'. 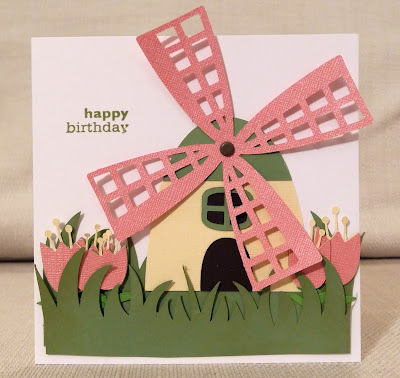 I use a variety of electronic cutting files - the windmill from Cardmaking Paradise, grass from Cutting Cafe and tulips from Miss Kate Cuttables. I hope you will join in the challenge, but before you do , please come over to City Crafter and see what the rest of the DT have made. 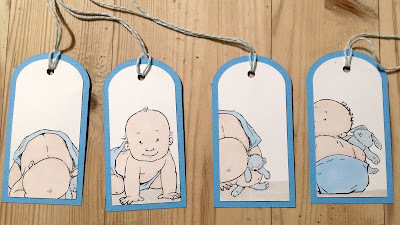 My daughter asked me for a set of four tags she could use for gifts for a new baby boy. 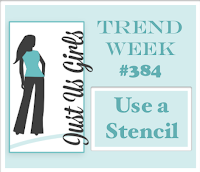 I created the tags on the Silhouette electronic die cutter. The baby images are all from Mo's Digital Pencil, and I tried to crop them in different ways. 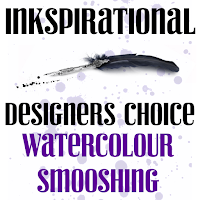 I used just 4 Promarker alcohol ink pens: two shades of blue, a skin-tone and a grey. Hey, the glitter shows up in the photo!!! That's unusual. Anyway, the peacock is by Hobby Art . 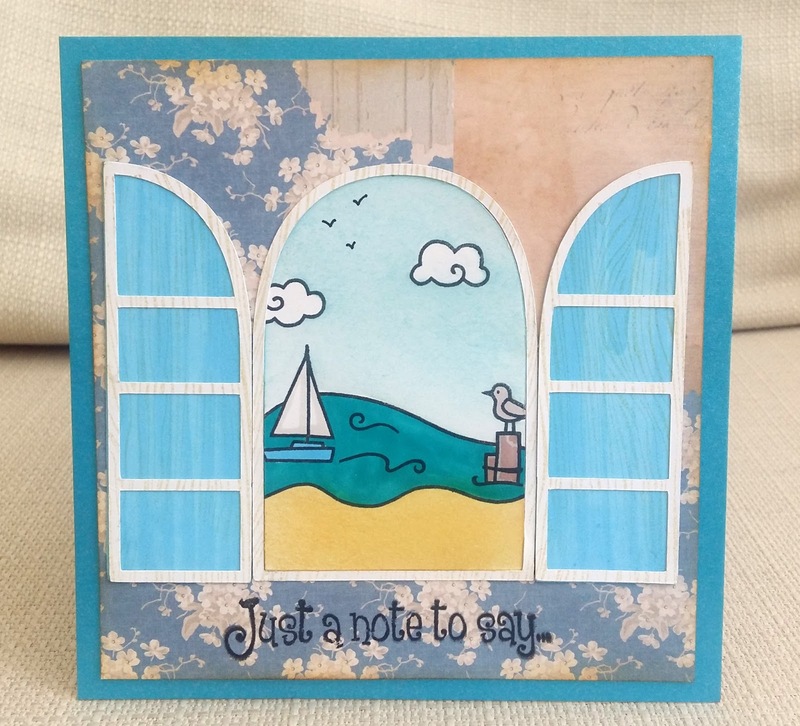 The background is a Prima stencil, sponged with 3 Distress Inks and embossed with glitter embossing powder and then clear ep. I think the sentiment is Hero Arts, embossed in white. 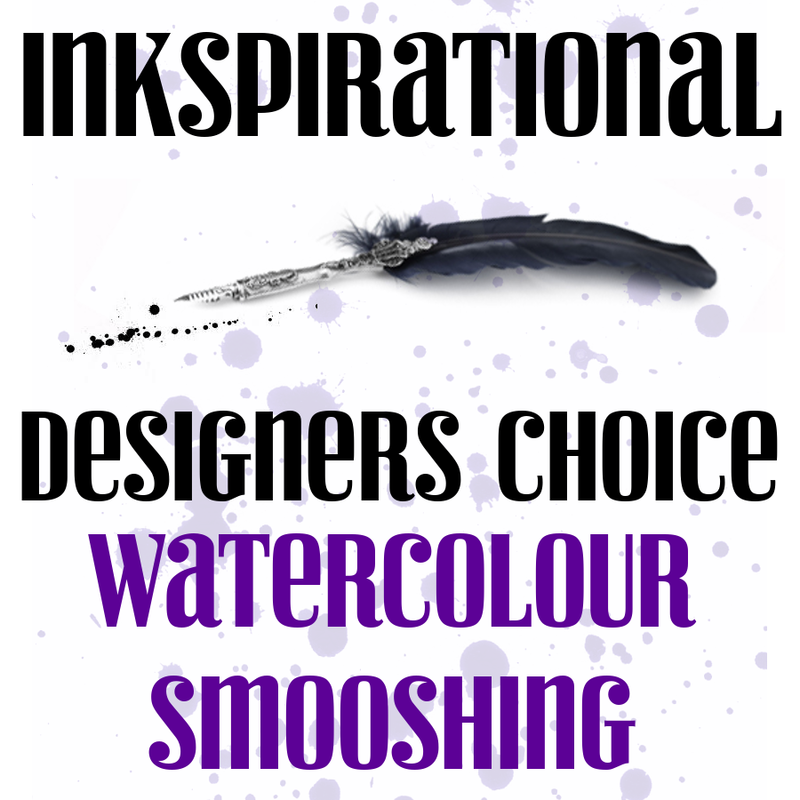 This week at Inspirational , Kim has chosen watercolour smooshing as her Designer's Choice. 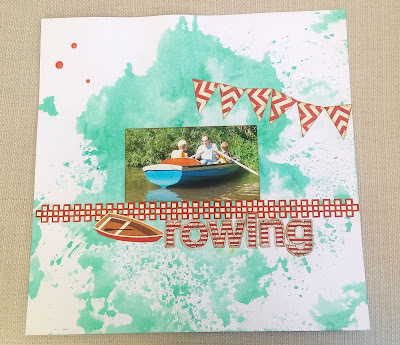 I confess this layout, of my partner boating with my son and grandson (I was in another boat), is not brand new but it's a never-before-blogged layout I made at a scrapbooking retreat a few months ago. 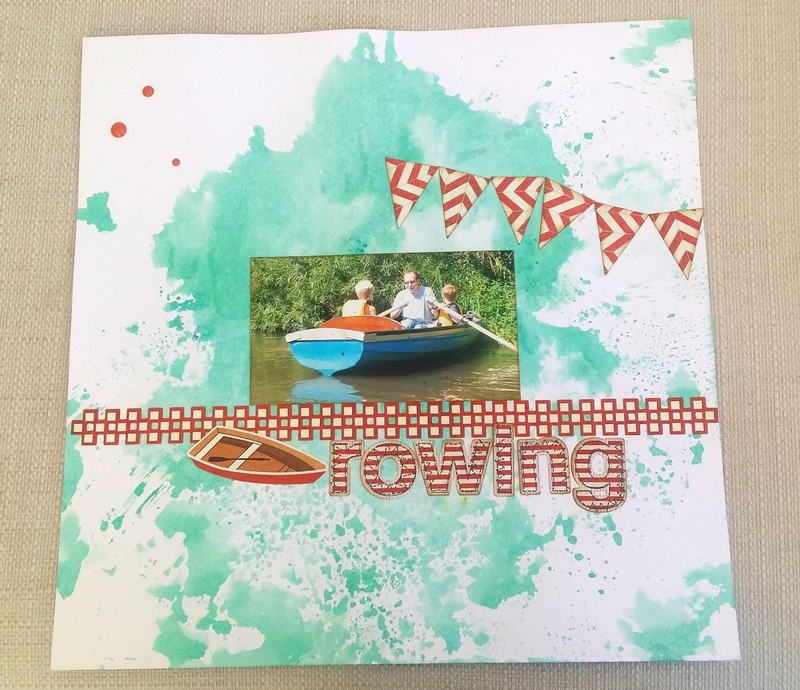 The page is 12 x 12 so I used a teflon mat to smoosh on - I think the watery effect suits the subject of the layout. 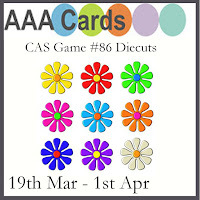 I kept the rest of it quite cas, with some Basic Grey stickers and orange enamel dots. 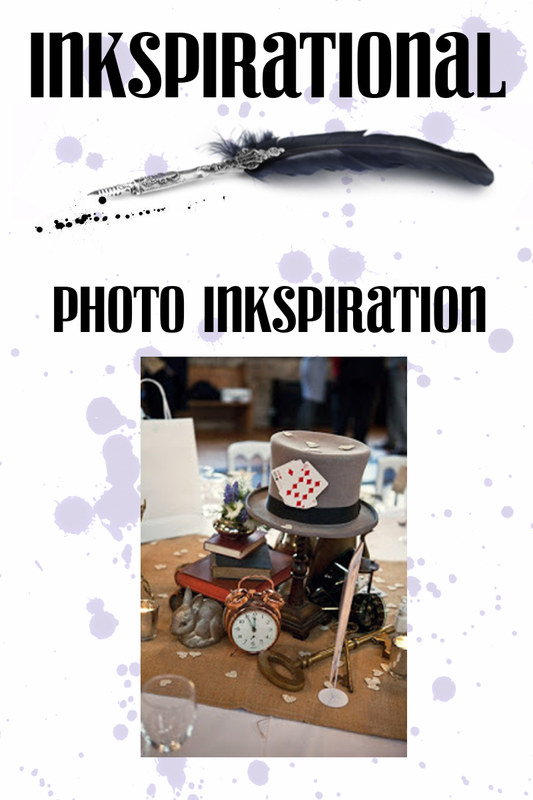 Our guest designer is Henriette and I hope you'll come over to Inkspirational, see what the rest of the DT have made and enter your own project using this technique. I have never been to a baby shower. I don't think they had them in the UK when I was having my youngest child, ten years ago. I don't really understand them! But my daughter asked me to make a card for the baby shower of someone she knows. I hope this is appropriate! 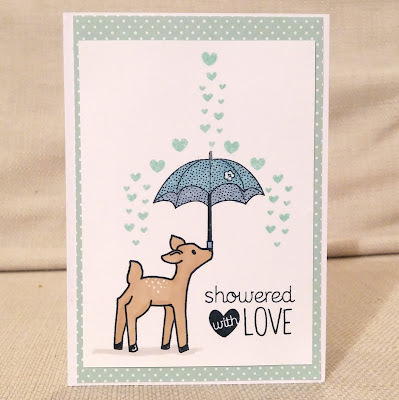 I used a deer from Avery Elle, umbrella from W plus 9, hearts from two different Hero Arts sets and sentiment , also Hero. It was supposed to look like the deer was holding the umbrella in his mouth, but I know it looks like he's balancing it on his nose! 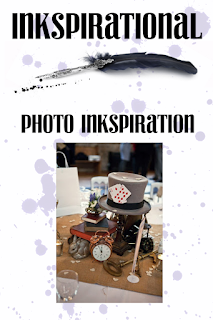 I coloured the images with alcohol makers and added some touches of white gel pen. 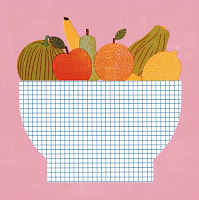 Kirsty has chosen our new challenge at City Crafter and it is to include a fruit on your project. 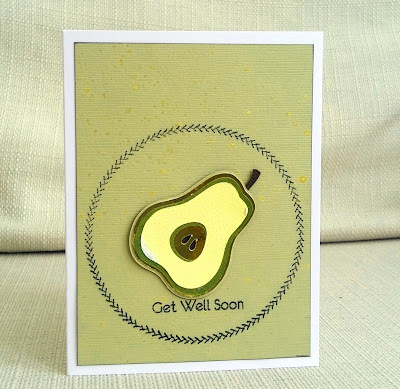 For my DT card I used a Lettering Delights layered electronic cutting file to make the pear. 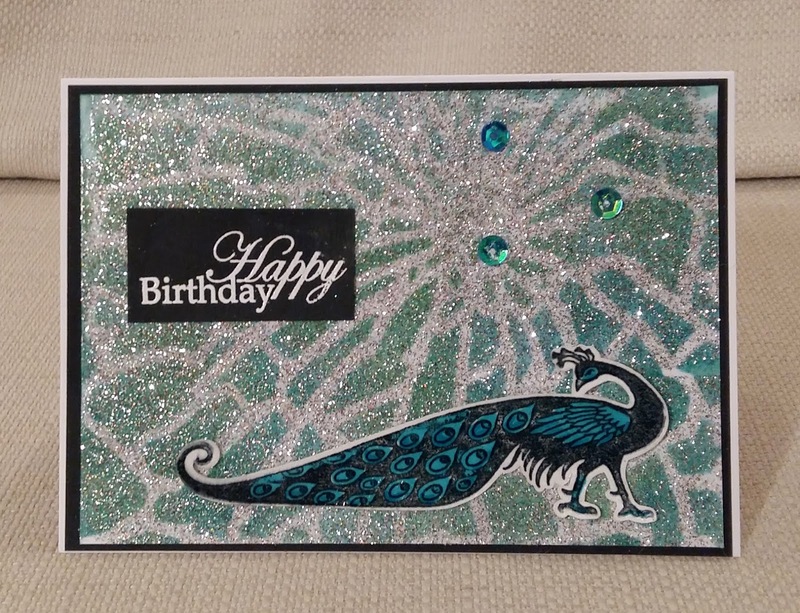 One of the layers is gold mirror card to give it a bit of shine. The circle is a 49 and Market stamp. The splattered the background with flecks of gold paint. I hope you'll take up this challenge -but first please visit us at City Crafter and see what the DT have made. 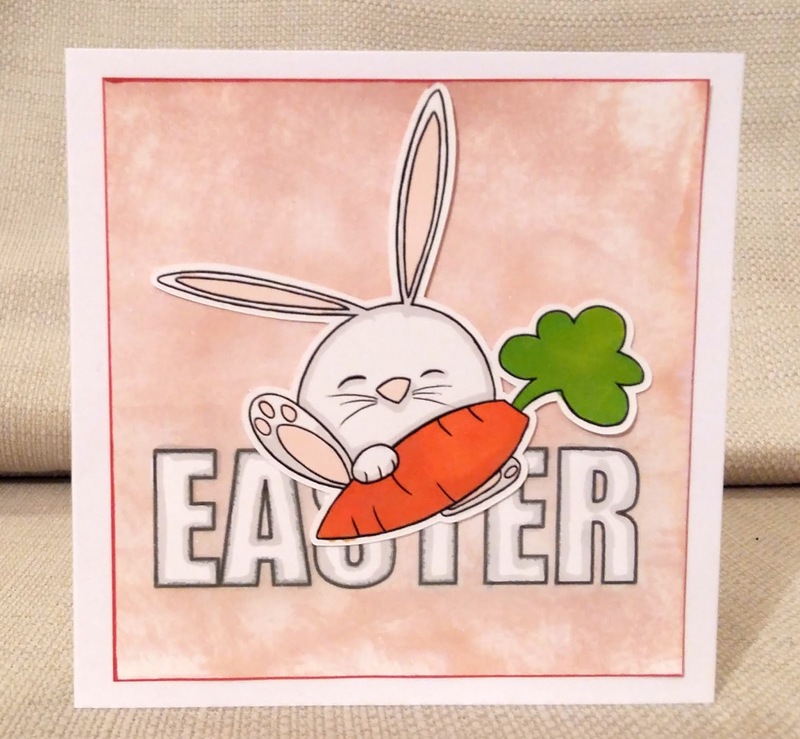 TBH it's a little early for an Easter card, but I found this (Samistamps) bunny in a little pile of digi stamps I'd previously printed and cut. - possibly leftover from last spring. 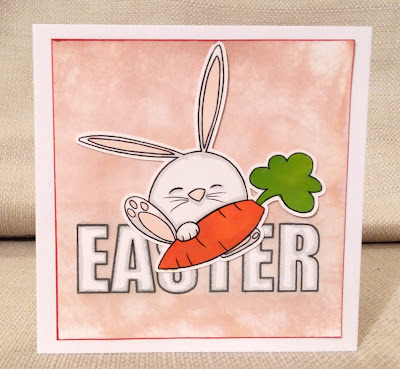 I created the word 'Easter' on my pc, printed it, masked it and made a background with Distress Ink and pearlised water. I coloured everything with alcohol markers. 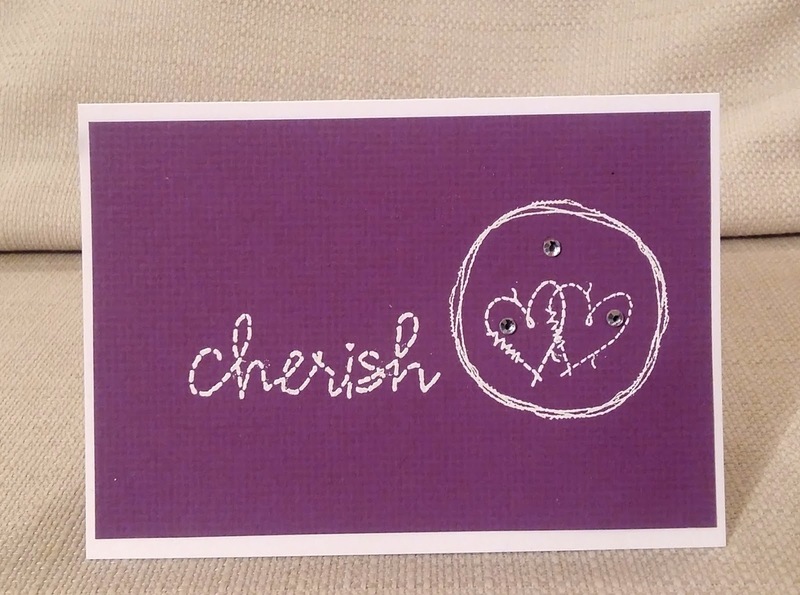 Here's a wedding card I made using the sketch from Less is More. The stamps are by 49 and Market and I embossed them in white and added 3 gems.